Have you ever involuntarily sold your eldest child, your soul, or your prize poodle Fritzy?1 If so, chances are roughly 1.3242579 x 10A Very Large Number to 1 that you did so by signing a Computer Software License (EULA). Our astute readers will already have realized that these agreements are carefully designed by behavioral psychologists to be impossible to read. Only lawyers, who go through intensive and psychologically damaging training to be able to suffer the kind of boredom lethal to the typical full-grown man are able, with proper safety equipment, to successfully read one of those things. “The” shall henceforth be understood as a definite article denoting specificity and denying indeterminacy. “Shall” shall henceforth be understood as the future tense of the verb “to be,” employed only in legal documents for the purpose of producing confusion and inducing tedium in the reader. “Henceforth” shall henceforth be understood to refer to words, symbols, and communications following the preceding words, symbols, and communications, whether the reader shall have previously read said words, symbols, and communications, have fallen asleep, or be an extraplanetary visitor who shall henceforth become so incensed by the obtuseness of said license or agreement that he (or the equivalent) will proceed to vaporize, annihilate, or otherwise destroy, this, or any other, planet capable of producing such obvious threats to the continuation or emergence of intelligent thought or its possibility, as long as they both shall live, so help me God. If you, dear reader, have managed to stay awake for long enough to read the preceding brief2 excerpt, you are doing pretty well. Yet until recently, the presumption has been that such agreements are legally binding. In virtue of their deliberate impenetrability and extraordinarily soporific nature, these documents cannot be considered legally binding unless accompanied by pro bono legal advice. So next time you are asked to agree to some license, agreement, or other legally binding compact, stand on your constitutional rights, and insist that the software company send over a qualified legal representative. “Mariner 2 Venus Data,” by NASA. Public domain. Altered by The Flying News. Interested in advertising in The Flying News? 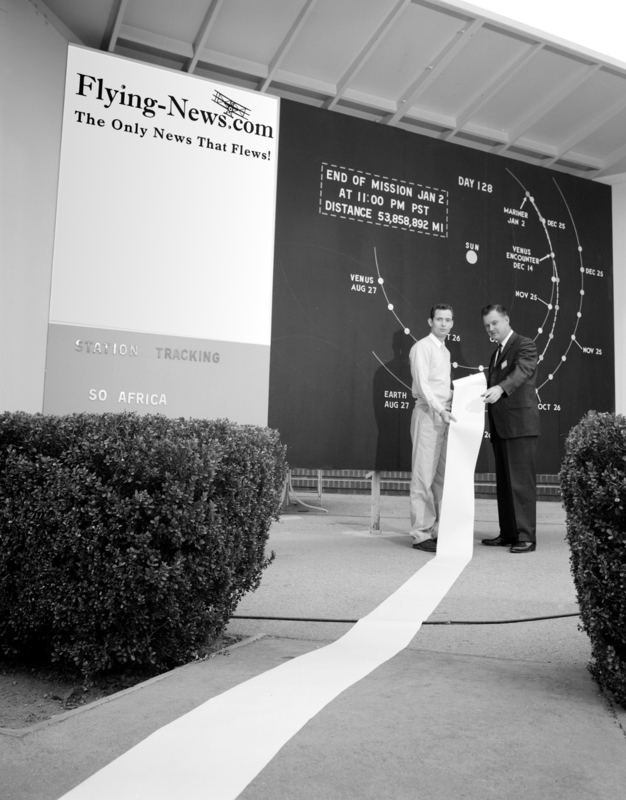 The Flying News is now ad-free™, so you can’t. Perhaps you might be interested in making a donation instead.